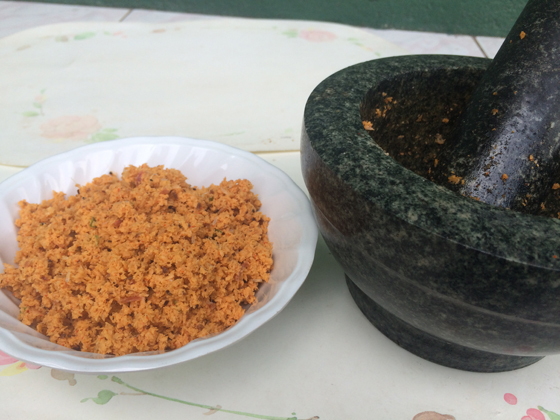 In the old days pol sambol was made using the grinding stone (miris gala) or mortar and pestle. 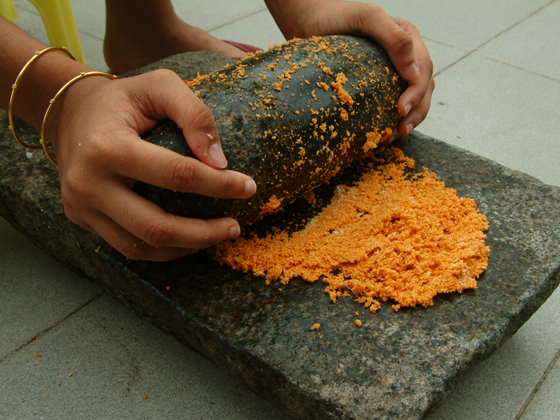 But now a days most of Sri Lankans do not use the grinding stone. 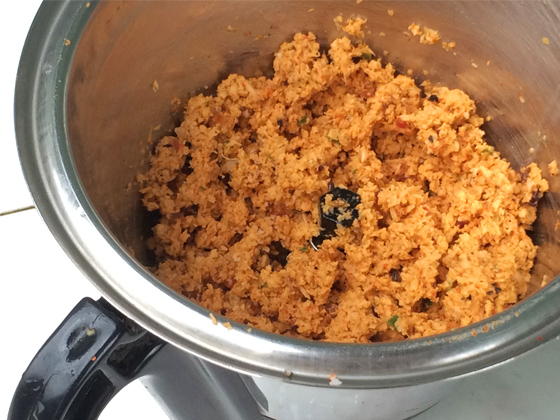 Hence, this is my easy way of making pol sambol using a South Asian food processor. 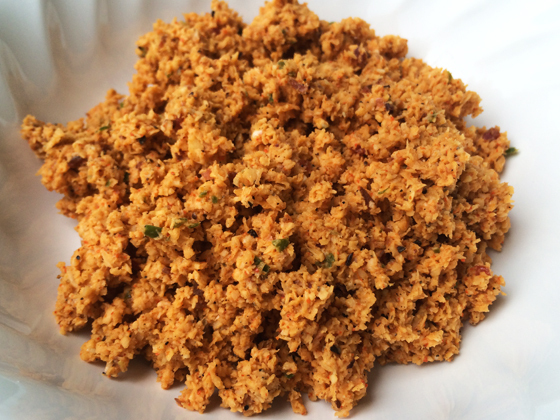 Green chilli and a touch of pepper will give a good taste to this. 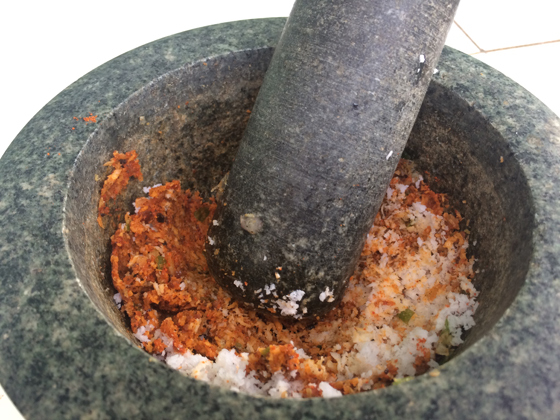 Put all the ingredients except lime juice to the food processor with dry grinding blade. 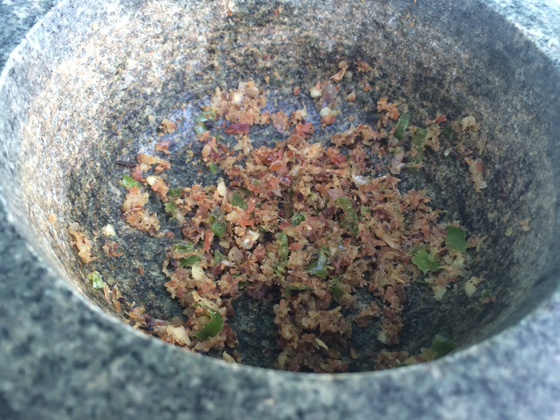 Grind for seconds till it get thoroughly mixed and ground. 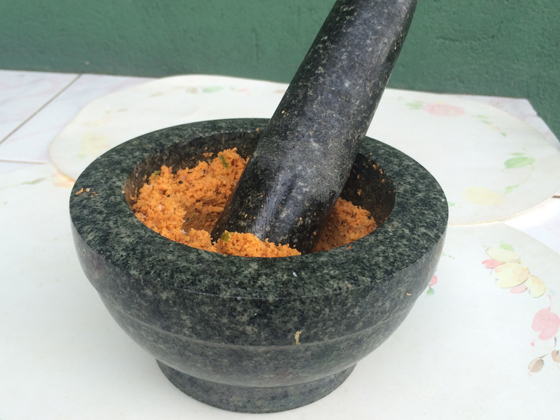 Making Pol Sambol with mortar and pestle. 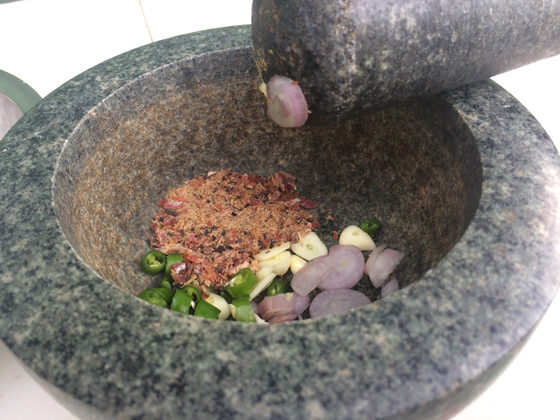 Put onion, garlic, Maldive fish and green chillies, pound to paste. 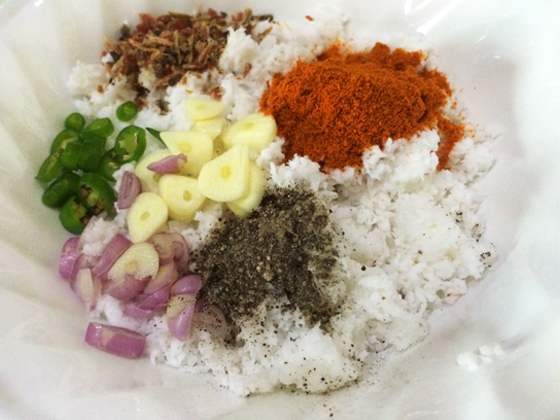 Add coconut, chillie powder, pepper and salt and pound till all ingredients are well ground and blended. Wonderful ! Will try a recipe each week and let you know how appreciated it is. Thank you. Hi Anoma, Is there any way you can reconstitute commercial Desiccated Coconut into near freshly grated coconut. The packet state to add hot water but it does not work. 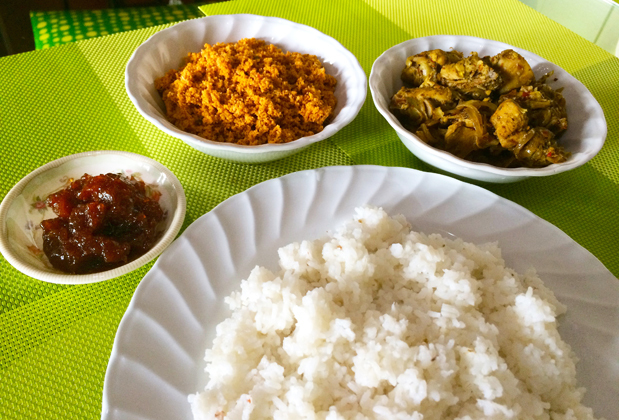 Mama misge recipes aniwaryenma balanawa. Mama mashmelow pudding, butter cake, chicken fried rice, naci goorani haduwa harima rasai. Eka parak butter cake eka welila wage thibuna. Hethuwa danne name. Puluwanam mis sans rival haddanna kiyala denna. I TN program ekath mama balanawa. 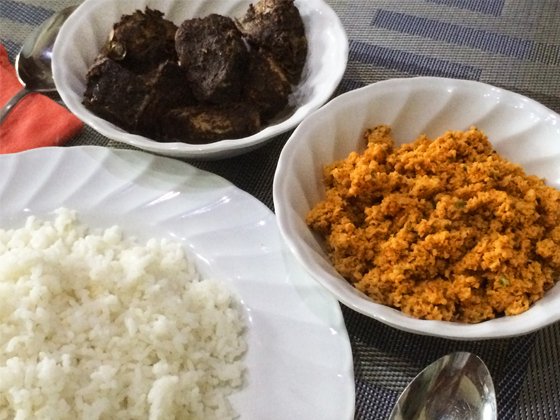 Godak lassanata kiyala denawa. Mista niduk neeriogi suwaya parthana Karanawa.